Tracking the latest Mobile App trends and news. Articles and mind-bending predictions about mobile technology. Proudly No pop-up ads. Check out this video for amazing things you can do with your smart phone, like easily measure distances. 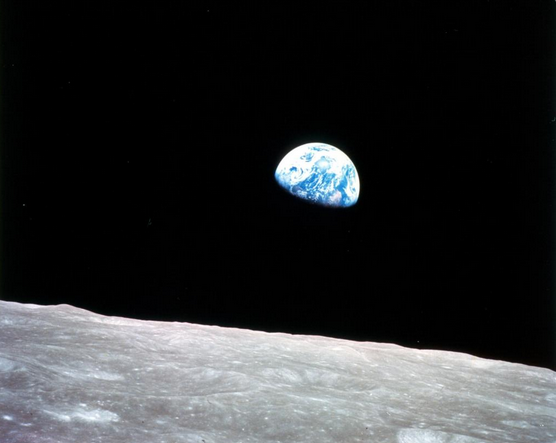 Bill Anders, crew member of Apollo 8, took this photo on December 24, 1968. It was later named "Earthrise". Then on that Christmas Eve Jim Lovell said "The vast loneliness is awe-inspiring and it makes you realize just what you have back there on Earth." Then Frank Borman (my favorite astronaut), the Commander said. "And from the crew of Apollo 8, we close with good night, good luck, a Merry Christmas, and God bless all of you — all of you on the good Earth." This was the first mission when humans had left the vicinity of the Earth. All the other flights were orbital flights. Apollo 8 was the first manned flight to reach the Moon. It was inspiring. I remember it like it was yesterday. 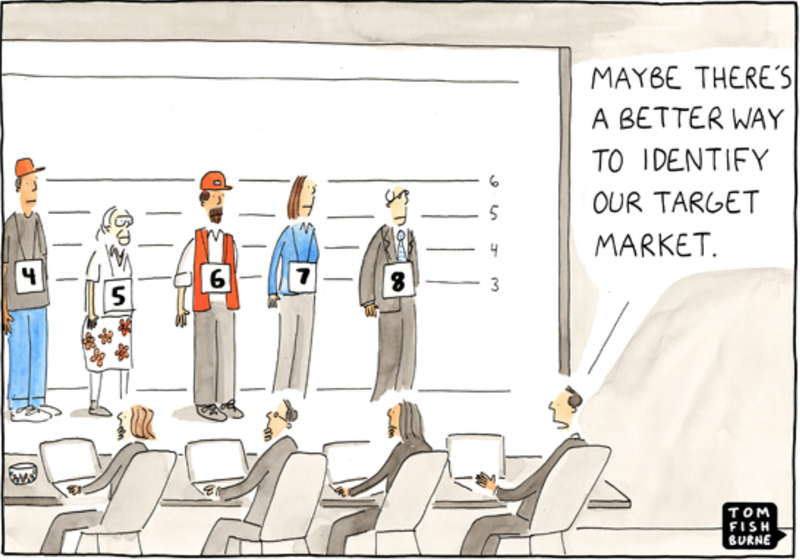 Did you know that there is a tool to help you opt-out of targeted marketing? Use this: Opt-Out-Tool by the NAI. On that webpage, you can see just how many of those member companies have placed an advertising cookie file on your computer. It is most of them. The NAI, a cooperative of online marketing and analytics companies that are “committed to building consumer awareness and establishing responsible business and data management practices and standards. You have a right to stop advertisers from tracking you. This is one great Video App for both Android and IOS. Zack Snyder shot this film with FilMic. 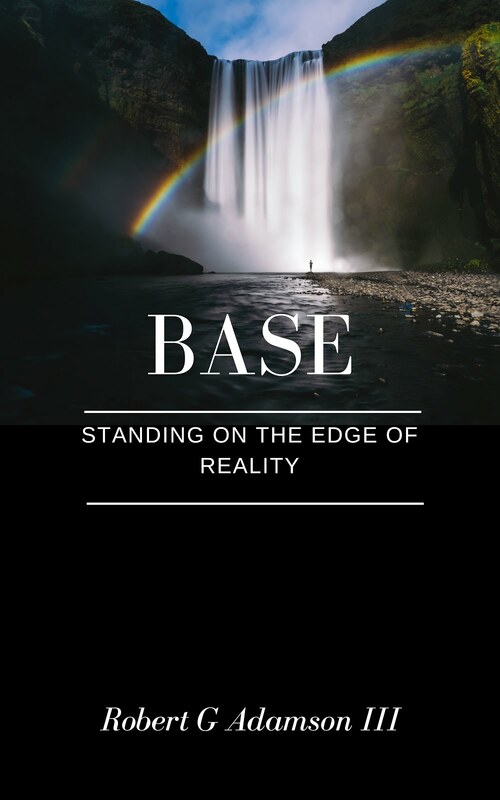 Here's an article about making Zack's the film with the Beastgrip Pro for stabilization and the FiLMiC Pro for video capture. Have old photos laying around in a shoebox? Too difficult to scan them or you don't have a scanner? Then checkout Google PhotoScan on Play. PhotoScan is fast and helps remove unsightly glare and shadows. But if you really want a slick way to scan those old photos, get THE SHOTBOX. The SHOTBOX is a self-contained, collapsable, portable, hard-shell tabletop light box that gives you perfect lighting every time. SHOTBOX is also the only light box specifically made for use with your smartphone Camera Apps. So with Shotbox you can simply use your favorite Camera App to photo scan those old photos. 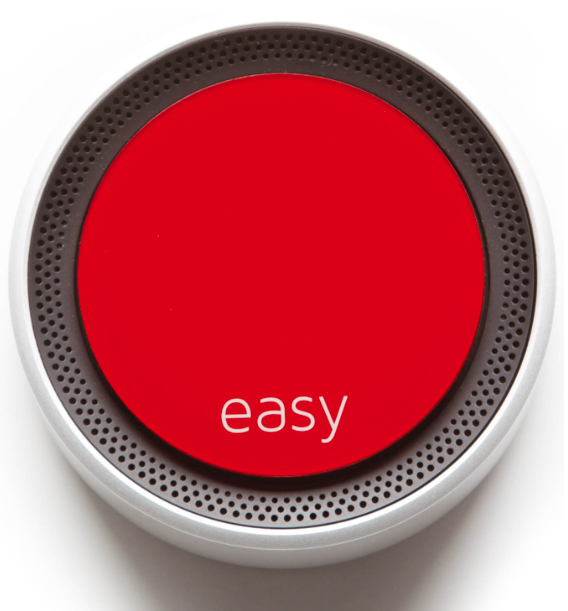 "Revolutionizing customer service with IBM Watson and the push of an Easy Button" according to Staples. 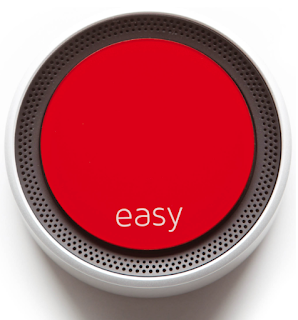 Using the natural language processing (NLP) and machine learning capabilities of the IBM® Watson™ platform and a host of Watson cognitive APIs, Staples transformed its Easy Button into an intelligent ordering ecosystem that business customers can use to order supplies easily using voice, text or email. 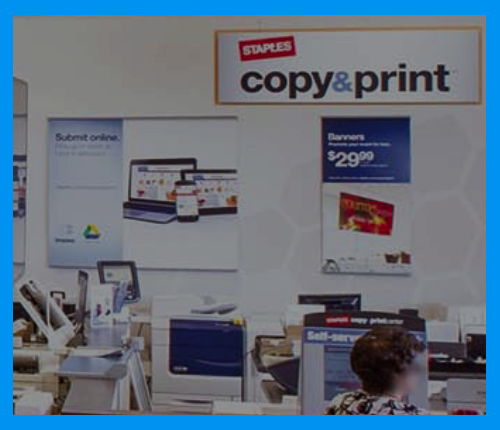 We see an opportunity for great Mobile Camera w/ Print solutions at Staples and other companies with walk in solutions. This technology is superb for Mobile Camera Apps, both front-end and back-end. 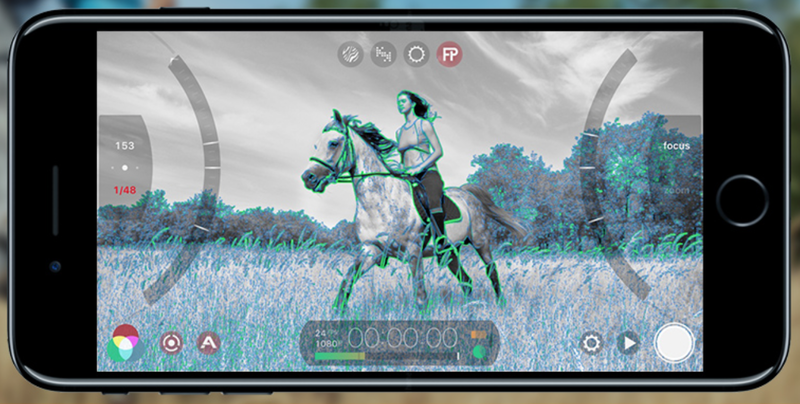 At Best Camera, we are exploring Apps that use this technology. So are you thinking about building your own App? But working for others, as a hired programmer, you make good money. So just go back to work. But then of course you will never become wealthy. And...you have an idea for an App that should go viral. The Best App ever for this idea. What should you do? 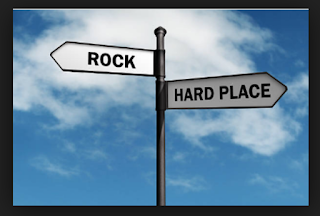 You decide go for it! It's not an easy App though, so you create a plan and you somehow convince some investors to jump onboard. Nice job! You are then cranking away on development. A small group of hand picked (by you) developers that know what they are doing. Yahoo! And then one day you hear the revenue question. When will we see revenue? So you remind the investors that your plan was to first build your great App and then get a ton of users. But that does not go well. They tell you that successful companies start with a minimum viable product and launch. They tell you how it is supposed to be done. Now they are demanding revenue or they will pull the plug. 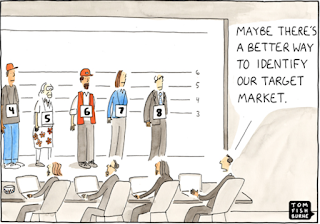 Well, you know of companies that could use the services of your team for some short term revenue. But this will distract you from finishing your great App. So, being a smart programmer, you resist and keep working on your App. Next the investors tell you that they do not understand what you are building. They ask for projections and insist on revenue or they will pull the plug. Next they tell you that you can never replace your competition. The old There will never be another MySpace argument. This, my programmer friend, is where most fail. This is the big gotcha moment. This day will come. You will either lose your funding, or start working on side projects. But here is the amazing thing. Those who find a way to continue and finish their visionary product are often successful. Well they are successful if they actually finish the App without shortcuts and compromises. They are successful if they go beyond the minimum viable product because in the App world, you don't often get second chances. Perhaps some good advice is to anticipate this event. But regardless of your original pitch, this day will come because good software development takes longer than expected and investors want revenue. Most investors do not understand the value of App users. The people that invest do not understand how a company can be successful without revenue. And so your great App could die before the world even knows about it. One possible idea is to create an App that you can give away (no Ads of course) so you have a better chance of going viral. And what if the App itself has a way to generate revenue, either from In-App sales or other means like printing. Another possibility is to turn your App into an SDK that you can license, not sell, to companies with existing users. Ok, good thinking, but you still have the problem of funding beyond the gotcha day. The answer is you need to be ready. You need to learn to become the worlds greatest salesman for your great App. Not just for selling your App to the users, but to sell your idea again and again to your investors. And if possible, make sure your early investors are not VCs. The traditional VCs do not care about your vision and they will forget what you said in an hour. Continuation is what separates the programmers from the successful entrepreneurs. How they pull it off though - I have no idea. But somehow they persist until they succeed because failure is not an option. So when this day comes, just remember that this too shall pass. So laugh at the world. So wouldn't it be great if you had a weather App with no Ads that would tell you if it was going to rain soon? Weather shots are key to great photography. It makes me wonder if a weather feature should be added to a Camera App. You can tell almost exactly when it will rain or snow up to an hour in advance. It is surprisingly accurate. 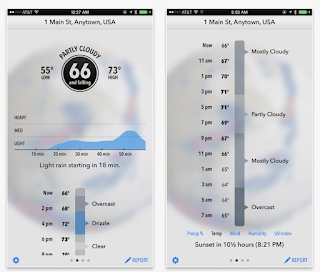 Now back to my idea for a Weather feature in a Camera App. Dark-Sky has an API for developers to integrate their data into their own Apps here: Dark Sky API And here are even More APIs. And the IBM Cloud has a Weather Company Data API. Few people know that it was a woman, a working mother in her 20s that got us to the moon. 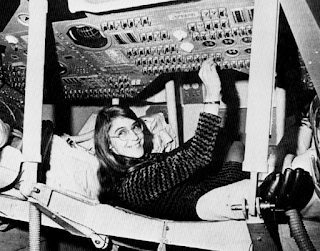 Margaret Hamilton became one of the lead programmers for the Apolllo flight computers. No software and no moon. Her job was just supposed to be a way to get her husband through Harvard Law. But she had the right stuff. And she helped launch the computer revolution 10 years before Microsoft. Shutterfly is one of the better know photo printing camera apps. They sometimes offer unlimited free 4x6 and 4x4 prints. Or do they? Lets dive a little deeper. "*Offer valid for a limited time only. Offer is good for unlimited free 4×4 and/or 4×6 prints through the Shutterfly apps only. Taxes, shipping and handling will apply. Not valid on other sizes, other products, prepaid plans, prior purchases, orders placed for in-store pick up and purchases made on shutterfly.com and our mobile-friendly site. 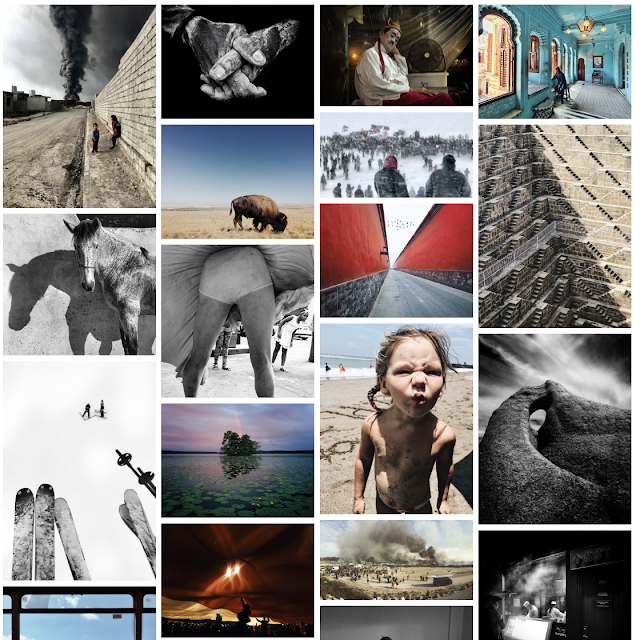 Each order can only contain a maximum of 250 photos. Please start a new order for adding more items. Cannot be redeemed for cash or combined with other offers or credits. Not valid for resale." The problems is that when you actually order say 250 small prints, with shipping and taxes, the total is around $24. $1.74 for taxes and the rest for shipping. That is expensive shipping! Ahhh, can't find the Auto-Lock for display timeout setting? It's not in the general settings anymore as documented everywhere. It's under the Display and Brightness settings as seen the image below. This is a great kids attention grabber. They will insist on participating. I know because they are pounding on my door right now as I'm writing this. They are like invading zombies wanting more. With Animoji on iPhone X, you can create and share custom animated characters in the Messages App that use your voice and mirror your facial expressions. Just select a cartoon character and talk. Your X will record your voice and integrate like magic all your facial expressions. It's addictive. You are also able to share these min-vids via email, Facebook etc. This feature is available on the X via it's facial recognition tech. Submit your email so we can tell you when there's a new review. I'm back with new blog ideas. I was in Kauai doing research if you can believe that. Just $2.99 were all digital books are sold. Paperback also.